Dared to enter the condemned schoolhouse by friends, Johnny pushed through cobwebs and found it: the haunted typewriter. Legend dictates the typewriter, possessed by Miss Darkwright, types a message back, but those who have discovered its secrets have never returned. Discover what happens to Johnny and whether he meets the mysterious Miss Darkwright in the video below. Often used when writing is too staccato, clipped, or choppy, coordinating conjunctions can be used to balance simple sentences. But be careful! Too many conjunctions can result in loose writing that can be considered trite, monotonous, and flavorless. Keep your readers happy and focused by using these coordinating conjunction tips. 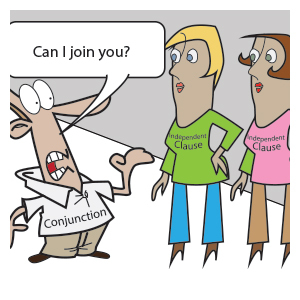 For those who need a refresher, a conjunction is a connecting word and is often described as a “joiner.” The most popular conjunctions are coordinating conjunctions (e.g., and). However, there are other conjunction families, such as subordinating conjunctions (e.g., that) and correlative conjunctions (e.g., if … then), waiting to be used (and abused). By Expert Author Request: Keep an Eye Out for Your Subject and Predicate! Syntax (in language) is the arrangement of words and phrases to create well-formed, structurally rich sentences. Poor syntax is one of the most unnerving errors for any writer and it can cause a chain reaction of misdirecting confusion. There is a bottle of milk on the table that belongs in the refrigerator. On the table, there is a bottle of milk that belongs in the refrigerator. Depending on the placement (and even word choice), the meaning can completely change, which can wreak havoc on your intention. 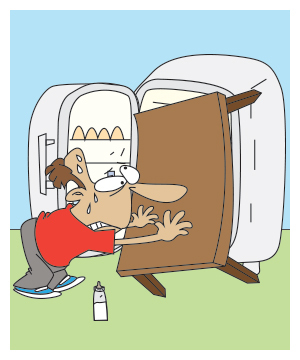 Sometimes it’s best to take a step back and simplify the sentence: Know the subject (or subjects) and the predicate. 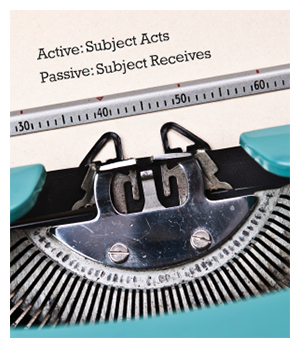 Passive or Active Voice: Which Should You Use? Before you light the torches and chase down passive voice, know this: Passive voice is not poor grammar! It’s just a different tone and construction of a sentence. Next to its vivacious counterpart (active voice), passive voice is flat and can often make the most outstanding expert look like a poor writer. In passive voice, the subject of the sentence receives or is acted upon in a sentence. While on Mars, the space-walking Martian was waved to by the astronaut. In active voice, the subject acts or performs the action in the sentence. While on Mars, the astronaut waved to the space-walking Martian. Parentheses can often be jarring, lead to confusion or misinterpretation, contort the meaning of a sentence, and dangerously approach run-on sentence status. In Brief: Use Parentheses Sparingly! 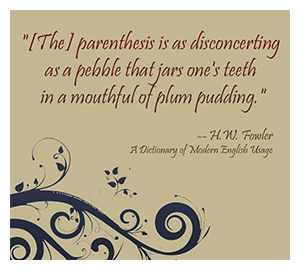 Many English language experts will warn writers that parentheses often convey a snarky, sophomoric tone to your writing with its abrupt asides and gossip-like tone. Instead of using parentheses, it’s recommended to try writing a sentence in another way or to use commas for nonrestrictive clauses. If you won’t let that little warning dissuade you from using parentheses (as so many authors do), bear these guidelines in mind to keep your credibility and intent intact. Formal vs. Informal – Who’s It For? Often considered more engaging, informal writing figuratively loosens the author’s constricting tie to offer readers familiarity and character. Formal writing, on the other hand, is used to deliver information succinctly and factually. When determining which style is appropriate, consider how you approach your audience in a face-to-face conversation. For instance, how do you speak with your peers vs. your clients? 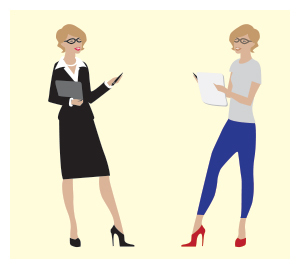 How do you speak with your boss vs. your spouse? Based on the audience, match up the tone you use verbally with the tone you use in your writing. In addition to your audience, consider your brand. What style do you want to be the voice of your articles? Do you want to be memorable with a loose, informal approach? Or do you want to create a solid foundation of credibility based on objectivity in a formal approach? What style best represents your brand? The dashing and dynamic dash is used when commas, parentheses, semicolons, etc., just don’t have the empathetic oomph to convey an idea or interject a thought. However, the overuse of the dash can make your writing appear overdramatic and never ending without the finality of other stops or end punctuation marks. Similar to the days of old typewriters, in the plain text world of online publication, creating a true dash (–) just isn’t possible. To appease dash purists – if it’s not possible to create a long dash – two hyphens side-by-side will suffice. However, it’s becoming more widely acceptable to use one dash with a space on either side – which we do here. 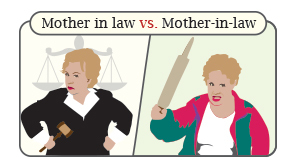 Is your mother in law (e.g., a lawyer or a judge)? Or is it your mother-in-law? Perhaps it’s lost in the shadow of more grandiose punctuation marks, such as the apostrophe, comma, or semicolon, but the hyphen is a fantastic tool. Not to be confused with the dash (which is deployed to separate ideas or sections in a sentence), the hyphen is used to join words together to make new ones and to link syllables when a word breaks off at the end of a line and continues on the next. More importantly, the hyphen brushes away ambiguity. For instance, when you tell your boss you want to re-sign your contract, he won’t think you wanted to resign instead. Try out these hyphen usage tips to maintain your credibility and provide your readers with a little clarity! As fast as we are able to speak, write, or sign, language continues to evolve. One of the most fantastic examples of this is the Latin language. Although considered a dead language, Latin is still very much alive today. It has influenced many of the languages spoken around the world, including the romance languages and even English. Used by students and scholars from the sciences to philosophy, Latin is still taught in many schools around the world. Even choice Latin words or phrases are used in the presence of another language to offer a subtle turn of phrase in order to convey an idea, thought, or even settle a legal matter. The Latin phrase exempli gratia (meaning: for the sake of example or for example) is abbreviated e.g. and is often followed by a comma (depending on the style) because it’s a parenthetical phrase. Also, e.g. should not include every possible scenario, only a sampling. George is a huge fan of cyborgs, e.g., the Terminator, Inspector Gadget, and Robocop. 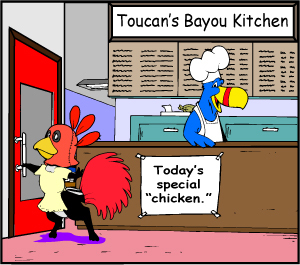 You’ll Love the “Chicken” at Toucan’s Bayou Kitchen! 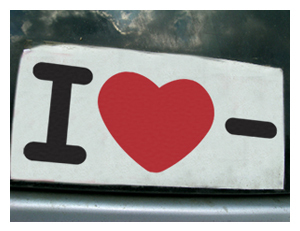 Besides quoting another person or organization, quotation marks can imply more than meets the eye. The former implies what we all know as chicken; however, the latter implies it could be anything. Perhaps it’s skunk that’s been stewing in chicken stock or it could be so good, it’s hard to believe it’s actually chicken. Don’t leave your audience guessing! Always deliver a clear message to your readers. Try out these quotation mark tips to maintain your credibility.